Our founder Prajapita Brahma left a legacy of empowering women to make their unique and vital contribution toward the peace and happiness of the world. Taking advantage of this extraordinary opportunity, many extraordinary women within the Brahma Kumaris have provided exemplary leadership through their love, compassion, forgiveness, tolerance, and many other qualities. By channeling God's own selfless love for all of us, these women play an essential role in establishing harmony, balance, and mutual respect in female and male roles, and thus rescuing and restoring our troubled world. 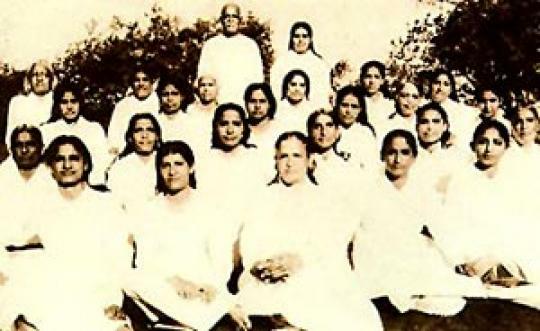 Question: What is the significance of women’s leadership in the Brahma Kumaris? Question: What do you observe about the effect of women’s leadership in the Brahma Kumaris? Robin Gibbs sings ‘Mother of Love’. Robin Gibb wrote and sang this beautiful tribute to Dadi Janki.